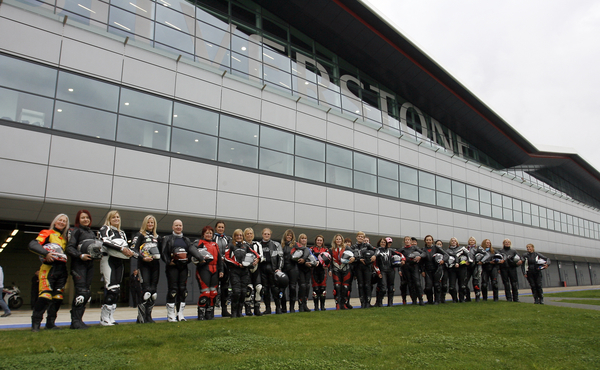 Maria Costello MBE heads to Silverstone, the home of British motorsport this Thursday, to host the first of her women only riding skills track days. Building upon the success of last year’s events, Maria will once more be offering guidance, support and one to one tuition to the women who participate. Whilst Maria has always been happy to mix it with the men on track, she realises that demand for women only events exists, notably through her Facebook group Woman on a Motorcycle (WOAM), which has in excess of 900 members. “There are female bikers out there looking to enjoy track days where they can increase their confidence on two wheels in a less intimidating environment, alongside other women. I really would love to see more women build more confidence and improve their riding skills and enjoy biking this summer and go on to do more track days. That’s what this event is all about!” added Costello.